Many people believe that bad credit home equity loans are not possible. It is not surprising that the people who often need house loans the most are the ones with poor credit. If you have a low credit score, it is likely you have been turned down for lines of credit or equity loans before. Whether you need funds for a health emergency, a car repair or fixing a leaking roof, you may be wondering how you can tap the equity in your house to get the money you need. It is not unusual for homeowners at some point to need a home equity loan with bad credit as things come up in life that you cannot control. Check new options for home equity loans for poor credit ratings. Talk to home equity lenders & brokers for second chance loans & cash out. Shop interest rates & terms on bad credit home equity loans & credit lines. 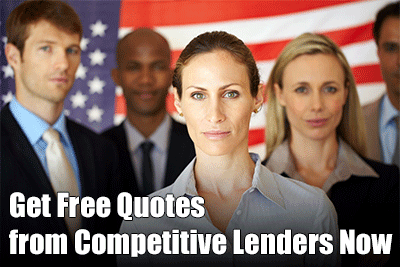 Find credible sources offering equity loans & HELOCs for bad credit. For people with bad credit who already own a home and have equity, you still may be able to get a home equity line of credit or HELOC. A word of warning: You are putting your home up as collateral for the loan. So if you do not pay, you lose your home. Make certain that you can afford the payments! Even if you have bad credit, if you are still paying your mortgage on time, some lenders may consider extending you a line of credit in the form of a HELOC loan with bad credit. To get approved, expect to need a loan to value ratio of 80%. That means you should have at least 20% equity in the property. If you think you do not have that much equity, don’t be too sure: Home prices have been rising steadily since the Great Recession. You could have more equity than you think. If you apply for a HELOC loan with bad credit, the lender will probably order an appraisal to get a current value. For borrowers with poor credit, it will help if you can show good, steady income and employment and a reasonable debt to income ratio. If you are approved, you will likely need to pay a higher interest rate. The good news here is that you can probably deduct that interest off of your yearly taxes. The interest rate you pay will be interest only for a five or 10 year period, and then it will go up to include interest and principal. You should plan to pay that loan back before principal payments are due. Yes the interest rate on a bad credit HELOC loan can go up or down with the market. An equity line of credit is essentially a line of credit up to a certain amount, but is backed by your home. You can take out the money as you need it, just like a credit card. 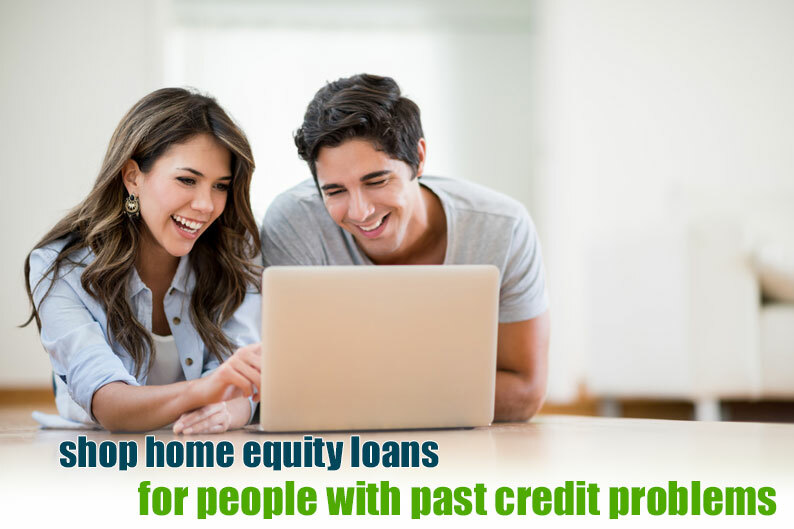 A poor credit home equity line is often a smart choice for a person who needs a steady source of money for expenses that are drawn out, such as a college education or a long term rehab project. Check Home-Equity Loan Rates. If you need a lump sum of money at once, you should consider a home equity loan. 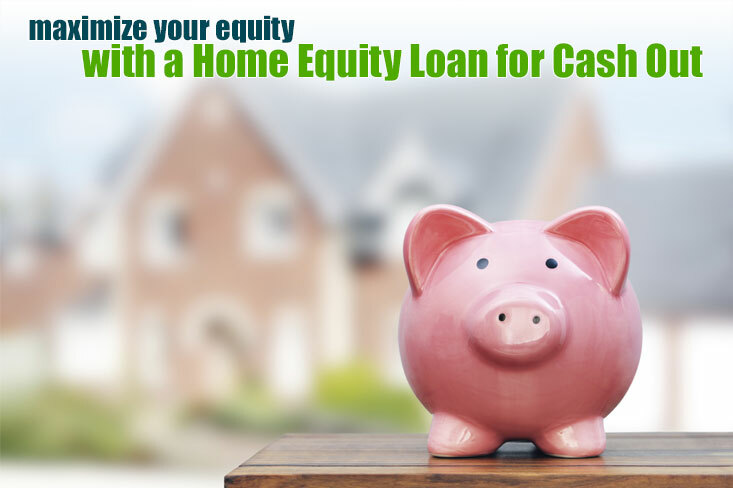 A home equity loan is similar to a HELOC but you get your home’s equity up to a certain amount in a single lump payment. If you have a single, large expense you need to pay now, you might consider a bad credit home equity loan, such as a big medical bill. A home equity loan with bad credit still has a steady interest rate. It will be higher than a HELOC, and higher still if you have bad credit, but it still is a good option for people who have bad credit but access to home equity. Which is Best for You, a HELOC or Equity Home Loan? Get a copy of your current credit report. See how bad things are. You may find inaccuracies that are hurting your score. If there is anything that is wrong that is hurting your score, you can contact each credit bureau and contest each negative, incorrect item. Collect all of your financial data so you can give your lenders proof of good income and employment. It will help if you have a decent savings account and investments that are producing returns. It is very important to show with bad credit that you are financially stable and have been for at least the last 12 months. Apply for home equity loans with bad credit scores from at least three lenders. You will need to give them copies of your credit report, mortgage information and proof of income. You also may need to show bank statements to show that you have cash in the bank. People with bad credit who own a home with equity can get approved, but the more financial documents you have, the better. If you have a foreclosure or short sale on your record, you may need to provide letters of explanation to lenders. There are some homeowners who may have been invested in real estate for income purposes during the recession but lost those properties to foreclosure. If you still are current on your home and have equity, you may be able to convince some lenders through manual underwriting to approve you. But you will need to show once again that you have a high level of current financial stability. Carefully consider the terms and rates you are offered from each lender. If you are getting a HELOC with poor credit, you should look at whether it is fixed or adjustable and for how long, what the rate is, any fees, payment schedule, and when rate can change. Consolidating Debt and Reducing High Interest Revolving Credit Cards with a Fixed Home Equity Loan is an Excellent Way to Save Money! Home equity lending is predicted to soar in popularity in 2018. 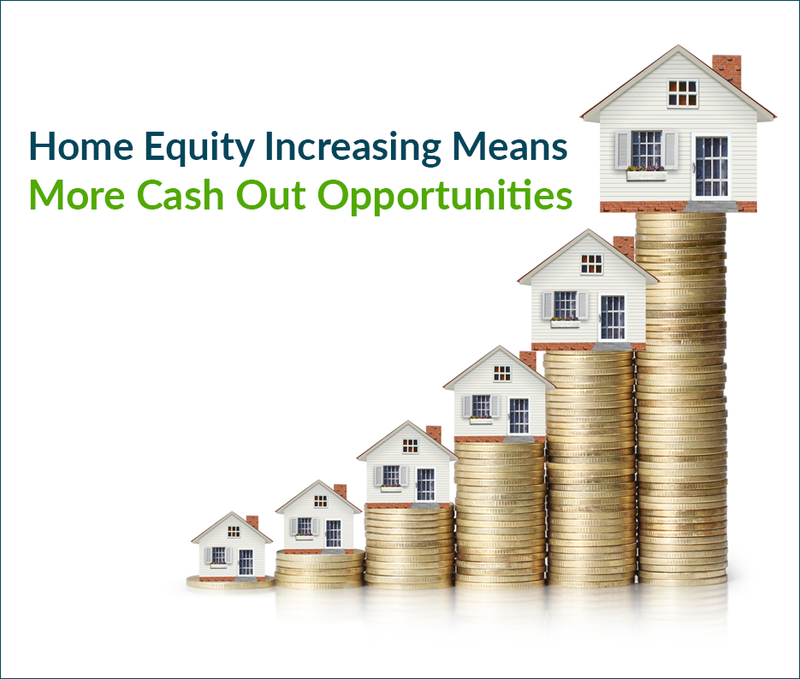 After it was nearly eliminated after the collapse of house prices during the mortgage meltdown, home equity lenders are now allowing home owners to pull equity out of their home again. Home prices are rising and lending standards are loosening, so it is becoming easier to get a home equity loan with bad credit or home equity line of credit with low fico scores. Get help from lenders and brokers who have a proven track record in offering credit lines and home equity loans for people with bad credit scores. If you have credit card debt, you are probably paying a lot of interest every month. You may be able to reduce your monthly interest payments by refinancing your credit card and other high interest debt into a fixed interest home equity loan for poor credit that may offer tax deductions as well. Paying off high interest credit cards with your home equity can save you a lot of money. For example, if you have $20,000 in credit card debt at 17% interest, a home equity loan with bad credit at 6% interest rate could save you more than $2,000 per year in interest. You can use those savings to pay down the mortgage interest faster. Home equity loans do have a higher interest rate than first mortgages, but you will still be better off than paying high credit card interest rates. Paying off debt with your poor credit home equity loan can be a wise financial move, but a lot of it comes down to self discipline. How disciplined will you be when you have freed up credit card lines again? If you will be tempted to run up the credit cards again, this goes from a wise financial move to a very stupid one; you now have credit card debt again, AND a second mortgage payment to contend with. If you don’t pay the equity loan, you can lose your home. So make certain that if you pay off debt with your home equity loan, you do not run up more debt. Are you looking for quick cash but you already have a great interest rate on your first mortgage? Millions of homeowners already have an interest rate between 3.5 and 4%. It simply doesn’t make sense to refinance your entire mortgage balance for a higher interest rate just get some extra money, when home equity loans and credit are available. Applying for a home equity loan or a home equity line of credit (HELOC) is a smart move for home owners who want to get cash they need for a major purchase. No matter if you want to fix up your kitchen or pay for your child’s college education, tapping your home’s equity is a low-interest path to your financial dreams. But what if you are a current home owner with equity and you have had credit problems? This is not uncommon; some people get approved for a home loan, move in, and then they experience a job loss, or a breadwinner has a health problem that leads to a loss of income. For these home owners, they may still be able to make their mortgage payment but have had some negative marks hit their credit report due to late credit card or car loan payments, perhaps. That might have led to being turned down for a home equity loan or credit line in the recent past. It’s not pleasant, and it often prevents people from trying to get approved again. Having average or bad credit is seen as a risk to the lender when you are taking on a home equity loan with bad credit, so they may well not approve you if your score is in the low 600’s for example. It is important for most lenders on second mortgages to get that score into the mid or upper 600’s, and then you have a good chance of getting approved. If this describes you and you still want to access the equity in your home, you really can improve your credit scores fairly quickly and get approved. Below are some of the best ways to do this. Nothing will make your credit score go up faster than paying off a large credit card bill. If you can at least get your credit card balances to be 30% of your credit lines, you will see your credit scores go up quite a bit. If you can pay off your credit cards entirely, it is possible to see a 40 point or so increase in your credit score in a few weeks. It is not recommended to try to move your credit card debt to a card with a lower interest rate. This will not have a major impact on your credit score. If you apply for more cards to try to move your debt around, this will just lead to lowering your score as the credit score inquiries from lenders add up. Before committing to the first poor credit home equity loan offer that comes your way, it may help you qualify for a lower interest rate if you first pay down as much revolving debt as you can. Nothing causes more problems for getting approved for a home equity loan than not paying your bills on time. It is very important for at least a year before you apply for a loan to have all of the bills that report to your credit report to be paid on time. If you have a negative event on your credit report from a few years ago, this is not a very big deal, as long as you are showing financial stability and responsibility in the last one to two years. If you have a long credit history, it is very possible that you could have a few errors on your credit report. You should always order a credit report from the three credit bureaus every year, as you are entitled to a free report annually. If you have errors on your report where, for example, a late payment was improperly recorded or was recorded twice, this could have a serious effect on your score. So, you definitely want to review your credit report and get those errors off of there. If you see anything that does not belong, you can write to the credit bureau and dispute the negative item. Sometimes your credit score is too low to get approved for a second mortgage. Or, the interest rate may be too high. In this case, you can get a family member to co-sign the bad credit equity loan for you. If your family member has good credit and a good income, you can use them to guarantee the home equity loan. Once you get the loan and you are paying on it reliably, this will increase your credit score over time. Nothing is more important to your credit score than paying your mortgage on time. Mortgage debt that is paid on a timely basis will always help to increase your score over the long term. Make sure that you have made all of your first mortgage payments on time for at least the last year, and two years is better. Yes, to be approved for a home equity loan with bad credit it is very important to always make your mortgage payment on time. 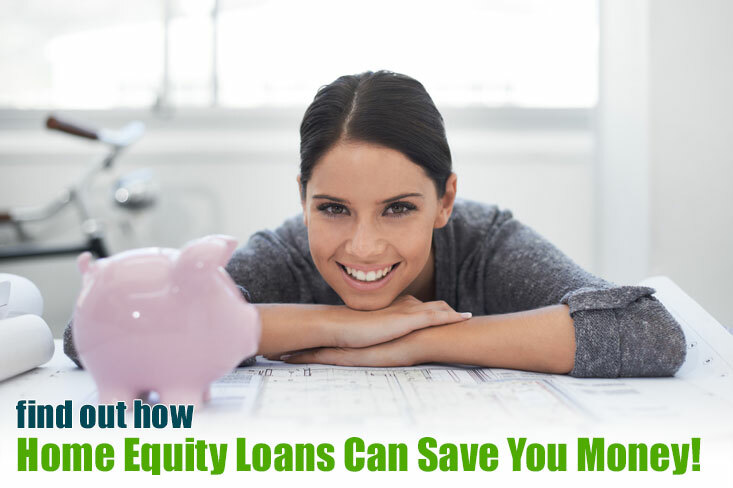 If you request a lower amount of equity, you may be able to get approved easier. Do not request the maximum home equity loan or line amount. If you do the above six things before you re-apply for your home equity line of credit, you will probably get approved. Just because you did not get approved the first time does not mean it won’t work this time. If you have low credit scores but have equity in your house, you probably can get approved for a HELOC or home equity loan with bad credit. You will just need to show ample proof that you have steady income and are financially stable. This means showing them plenty of financial supporting documents. If you are able to produce W-2’s, tax returns, bank statements and pay stubs that indicate good, steady employment, it is likely that you can get a home equity loan with bad credit. Just be ready to shop around. If one home equity lender says no, another may say yes. In the meantime, earning equity with rising property values may help you secure an equity loan at some point.